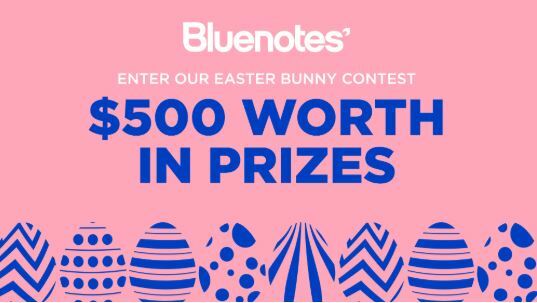 Enter the Bluenotes Easter Bunny Goodies Contest, in it, you get a chance to Win a share of $500 worth in prizes. This contest is open only to legal residents of Canada who are over the age of 13. To enter you have to visit the official contest web site and sign in to the contest widget using your email, Instagram, Facebook, Twitter or SoundCloud accounts, then perform the suggested actions until you get all the available entries. Contest ends on April 22, 2019. Winners will be selected at random from all eligible entries received during the contest period. The Bluenotes Easter Bunny Goodies Contest ends on April 22, 2019.